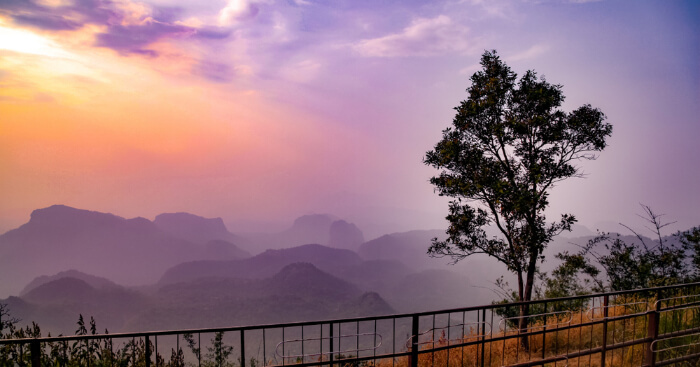 As one of the most scenic and quaint tourist destinations of Madhya Pradesh, Pachmarhi is ideal for a relaxing weekend trip and yearly family vacation. 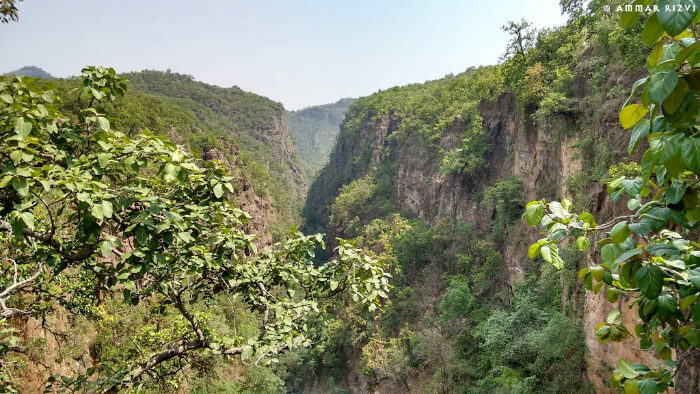 There are some spectacular and absolutely mesmerizing places to visit in Pachmarhi, including mysterious caves, ancient temples, and silvery waterfalls. 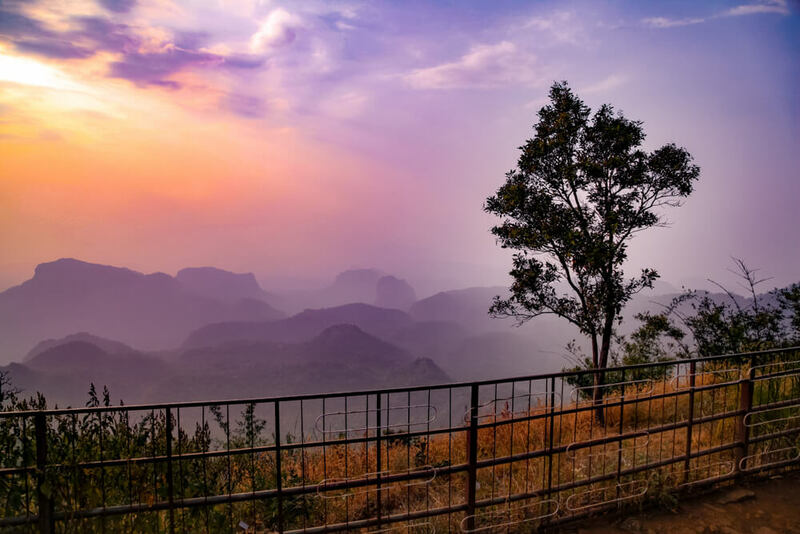 We’ve compiled a list of places in Pachmarhi, Madhya Pradesh that you’ll leave with a bag full of enticing memories and some incredible pictures. 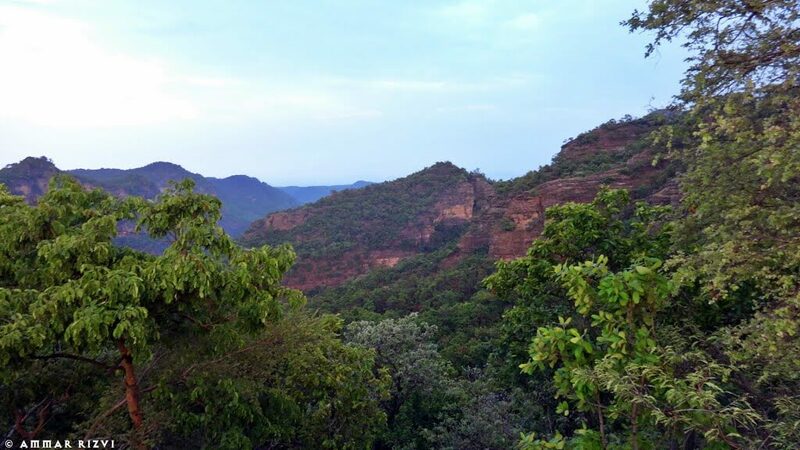 Best time to visit Pachmarhi: Though Pachmarhi can be visited throughout the year, the best time to visit Pachmarhi is from September to March. Summer months are moderately warm and the temperature rises up to 35 degree Celsius. Days are hot and humid while nights are soothing. Monsoon season is pleasant in Pachmarhi. 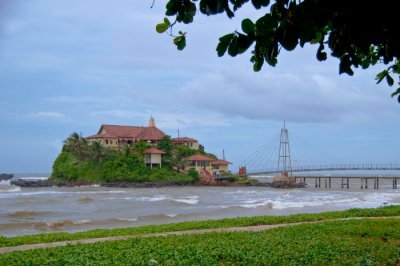 Though the place receives heavy rainfall, it also looks luxuriant and fresh during the rainy season. Winter months are pleasant and soothing and the temperature drops to 11 degrees Celsius. Pandava Caves is one of the best places to visit in Pachmarhi. With the backdrop of spectacular Satpura ranges, Pandava cave is a group of 5 rock-cut Buddhist temples. Mythological sources reveal that these temples were offered to 5 Pandavas for shelter during their exile period, hence the name. 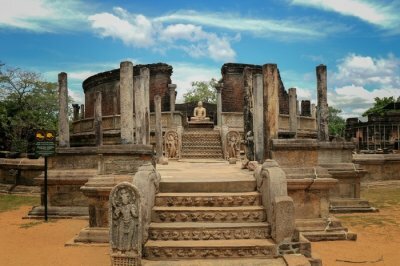 Built in the 9th century, these temples are adorned with beautiful sculptures and carvings. 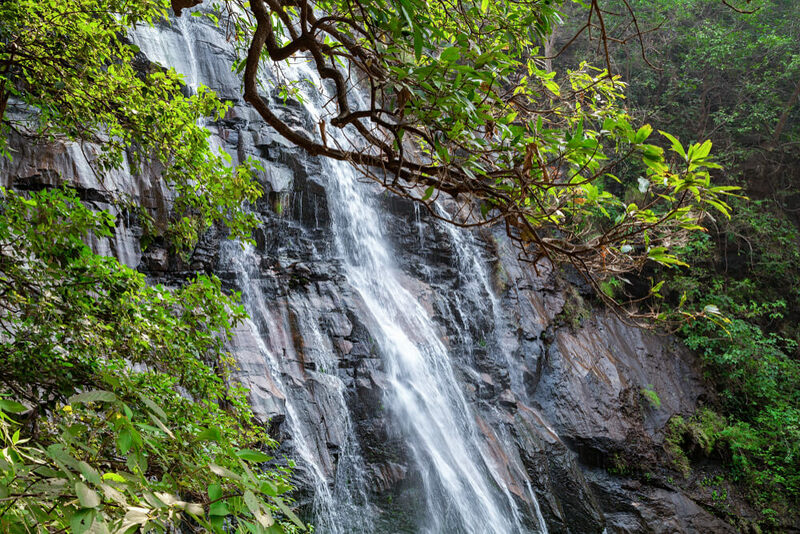 Pachmarhi is endowed with many scenic waterfalls and Bee Falls is undoubtedly one of the most picturesque ones. Popularly known as Jamuna Prapat, this is one of the most popular tourist places to see in Pachmarhi. Moreover, Bee Falls is known for supplying water to entire Pachmarhi town. 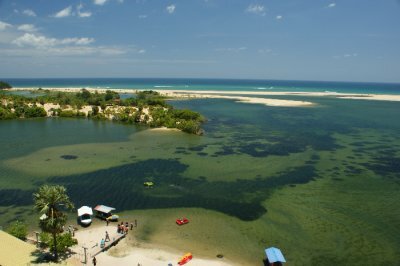 A favorite picnic spot among locals and tourists, it is mainly visited for swimming. The view of the waterfall cascading down the luxuriant valley leaves everyone awestruck. Dhoopgarh is another popular tourist place in Pachmarhi. Located at an elevation of 1352 meter, this place is the highest point of Satpura mountains and is known for most photogenic sunrise and sunset vistas. 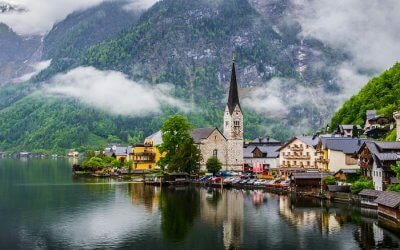 Travelers can reach up to the hilltop only by a moderately challenging trekking route through some waterfalls and valleys. Of all the tourist attractions, Jata Sankar cave is one of greatest places to visit in Pachmarhi. Spiritual sources reveal that Lord Shiva concealed himself from the fury of Bhashmasur here. This is a beautiful limestone cave comprising stalactites and stalagmites that look like the matted hair of Lord Shiva, hence named as Jata Sankar cave. 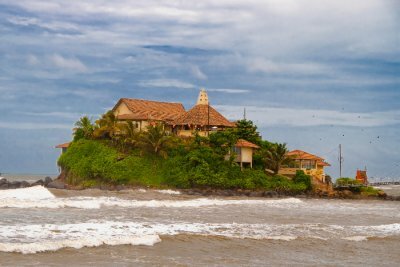 Boasting of a natural shivalingam and a massive rock resembling 100 headed Sheshnaga, this place is a favorite hotspot amongst devotees. 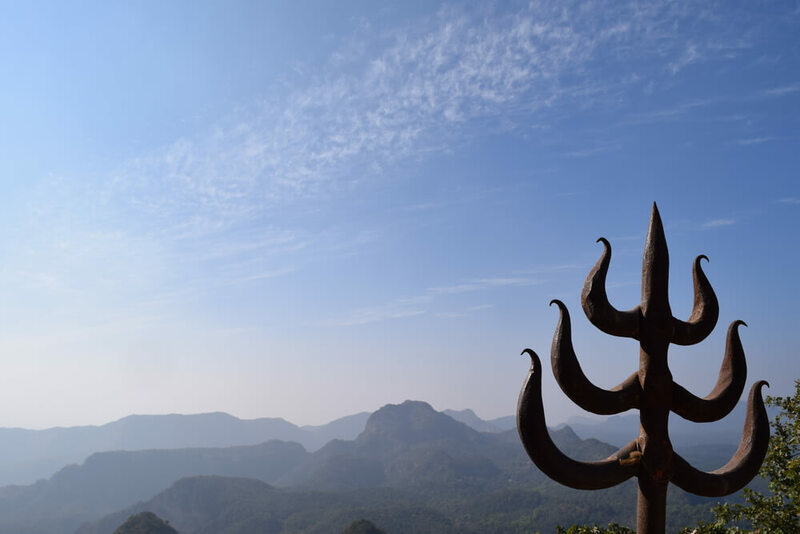 Another temple, that must be mentioned on the list of popular places to visit in Pachmarhi is Gupt Mahadev. 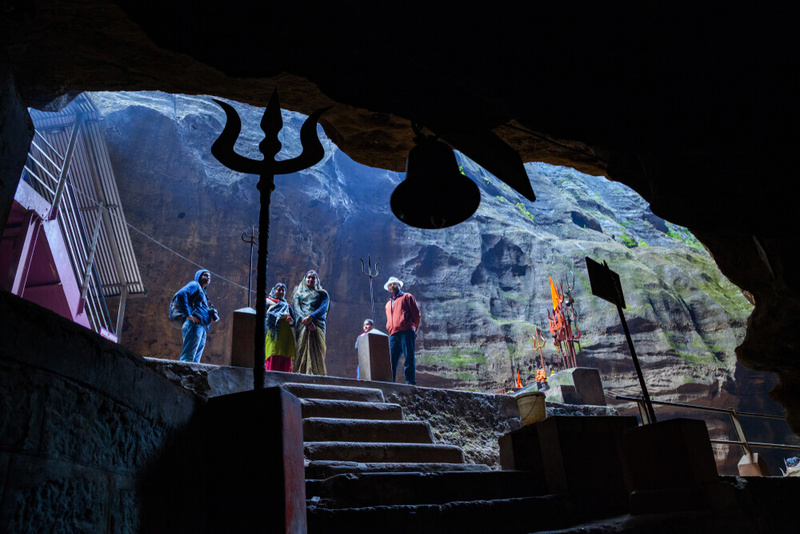 Snugged cozily inside a massive natural cave, this temple consists of shrines of Lord Shiva, Lord Ganesha, and Hanuman. 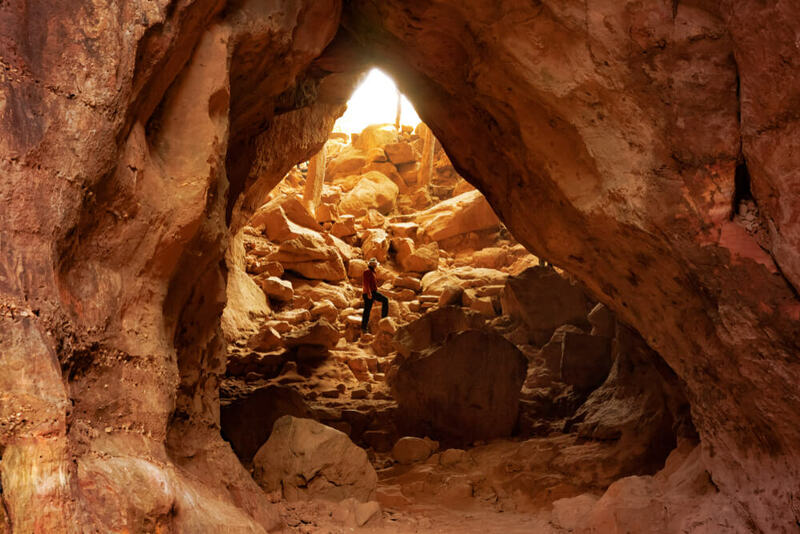 The entrance to this cave temple is narrow and can accommodate up to 8 people at a time. Located at an elevation of 1326 mt, Chauragarh Temple is another religious place to visit in Pachmarhi. Surrounded by spectacular hills and verdant valleys, this age-old temple is dedicated to Lord Shiva. Devotees need to climb 1300 steps to reach this holy place, which comprises the main temple, a dharmashala and a natural pond. During Nag Panchami and Maha Shivratri festivals, devotees are seen climbing this steep path, carrying heavy Trishuls as a part of religious norms. If you are in pursuit of peace and relaxation, Mahadeo Hills is the right choice for you. With an altitude of 1363 mt, Mahadeo is a spectacular sandstone hill providing stunning views of the surrounding forests and valleys. 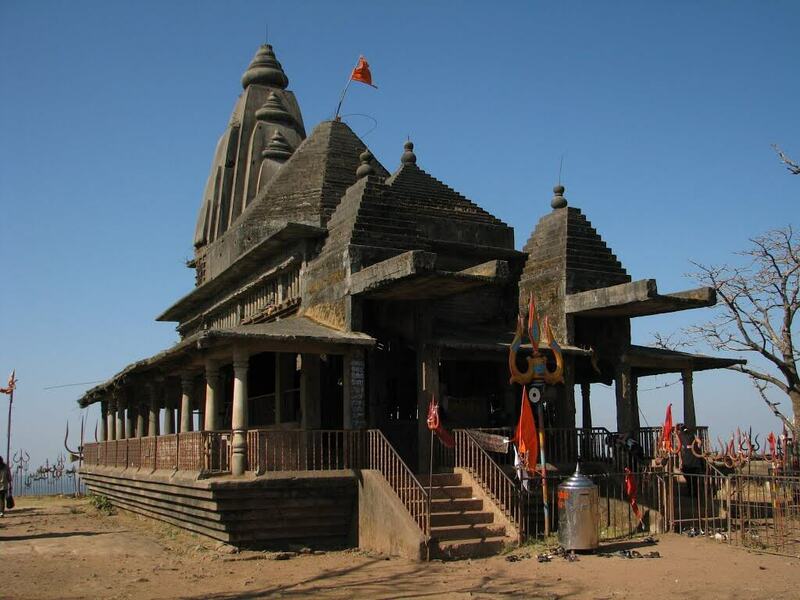 Moreover, Mahadeo Hills is also known for an age-old Shiva temple and a few natural caves. Surrounded by verdant forests and hills, Handi Khoh is another popular tourist spot in Pachmarhi. This is a V-shaped ravine, 300 feet deep, created by two massive hills. Local people believe this place was a lake earlier, which had dried up by the wrath of a huge snake, who used to guard this place. Today, this place is famous for trekking, hiking, photography and horse riding. If you are planning to go on a sightseeing tour in Pachmarhi, you simply cannot miss Duchess falls. 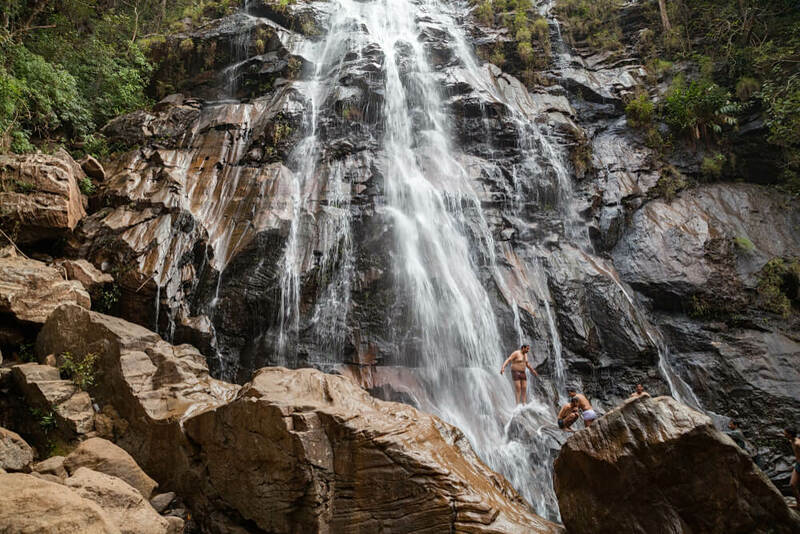 Located 4 kms away from the main road, this is a scenic waterfall cascading down from 100 m. The drop of the gorgeous fall in three layers along with the thrilling sound makes it a sight worth experiencing. Undoubtedly, this is one of the best places to see in Pachmarhi. Encircled by Satpura Ranges, the wildlife park is among the liveliest places to visit near Pachmarhi. It is a huge and pristine national park sprawling over 202 sq miles. Boasting of Sal, Teak, Tendu, Mahua, and Bel, this national park has a picturesque landscape with Denwa River flowing through the center. One needs to cross the river during the safari, either in a gypsy or on an elephant. Favorite among nature lovers and wildlife enthusiasts, Satpura National Park is one of the most interesting places to visit in Pachmarhi. 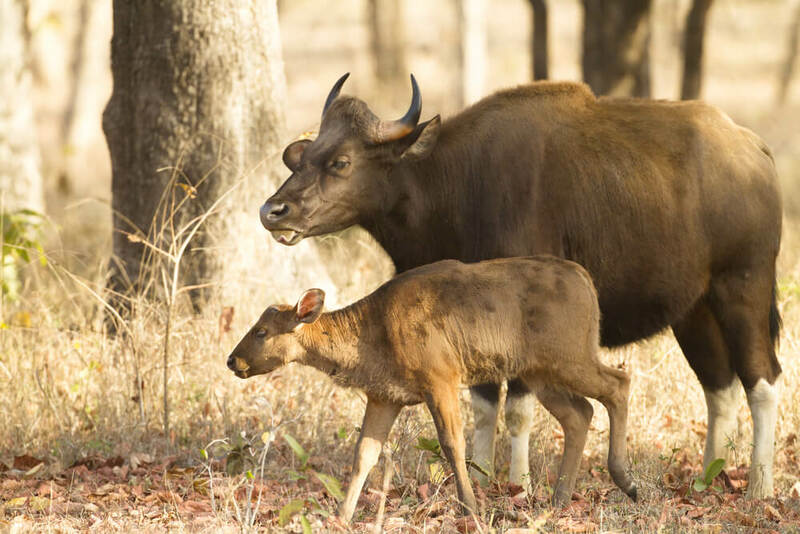 The wildlife sanctuary acts as a habitat of bison, spotted deer, elephants, leopards, tigers, sloth bear, four-horned antelopes, and numerous native & migratory birds. This reserve has won many prestigious awards for protecting endangered to rare flora and fauna over many years. Opening hours: 1st October to 15th June| Summer: 5:45 am to 9:30 am and 3 pm to 6:30 pm. Winter: 6 am to 10 am and 2:30 pm to 5:30 pm. Charges: INR 1250/person for entry, INR 2100 for gypsy safari and INR 50/person for a boat. If you’re packing your bags to lose yourself in Satpura ki Rani, these are some of the most incredible places you mustn’t miss. 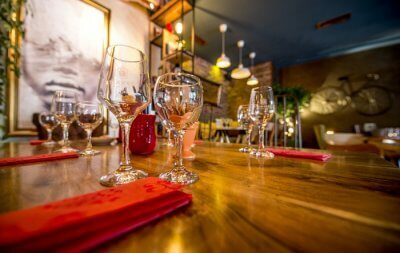 Have you got something to add to the list? Let us know in the comment section below.